Chill martini glass in the freezer for a few minutes. Add ice, vodka, gin and Lillet to a cocktail shaker. 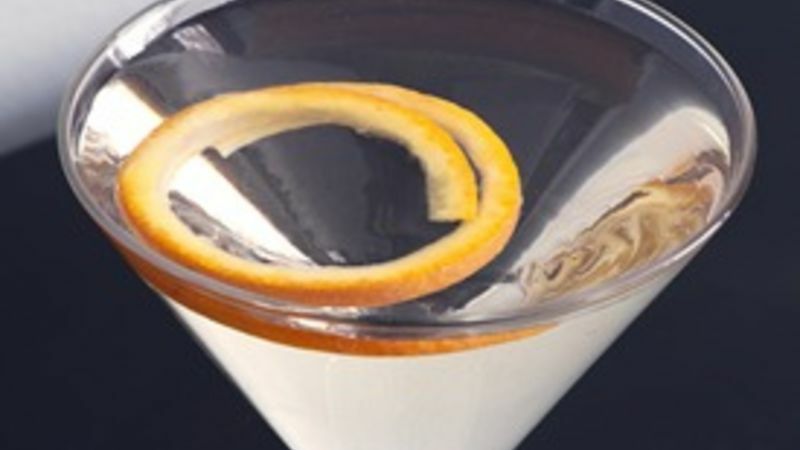 Shake and strain in to the chilled martini glass. Garnish with orange peel, if desired. Aperitifs are the cocktail trend of the minute, one liqueur is rising in the ranks of popularity within the world of the these herbal, pre-dinner liqueurs. While Campari and Fernet Branca may be more familiar brands, another old time favorite is beginning to make a comeback. Suze has been around since the late 1800s, but the early 21st Century may prove to be the spirit's most exciting time. What is Suze? The brand was founded in 1889 and was used in the cocktails of the time, which were much more bitter than today's imbibers are used to. Although the yellow liqueur never really caught on stateside, that's not because of the public's palate. For a long time it was available only in Europe, but it's now making a comeback with American drinkers because bartenders discovered the stuff and demanded that it become available. When bartenders talk, the alcohol companies listen. How Does it Taste? Like any aperitif, the liqueur's actual recipe is a closely guarded secret, but the main flavor is yellow gentian. Yellow whaaa??? This European plant is known by the nickname "bitter root," so you know what you're in store for. Fans of super sugary drinks probably won't want to get a bottle for their home bar, but if you are open to expanding your palate in an unexpected direction, you might be surprised. The root was traditionally used in medicines, and to subdue that "medicinal" taste Suze has clearly added a bit of sweet. The bitterness is played off with notes of citrus, and you'll get some grass and earth in there as well. We would compare it to another liqueur, but like all of the brands in this category it has a flavor profile all of its own. How Do You Drink It? If you want to be a true traditionalist, get a glass, pour it, and go. The spirit is meant to be sipped on its own, but it can quickly become overpowering to even the most fearless drinker. Some ice helps. So does some champagne. Pour some into your glass of bubbly (preferably a sweeter variety) for an interesting burst of flavor. Or, you can just do a Suze and soda - a bit of seltzer will make the experience less intense. Add one ounce of aperitif and three ounces seltzer over ice, and instead of a lemon reach for a wedge of orange. Some Cocktail Ideas: Kir Royale You can make a modified Kir Royale with the champagne or if you want to adapt other cocktails you can use this in place of Lillet in a classic Vesper - while it seems boozy the vodka can cut the bitterness nicely.